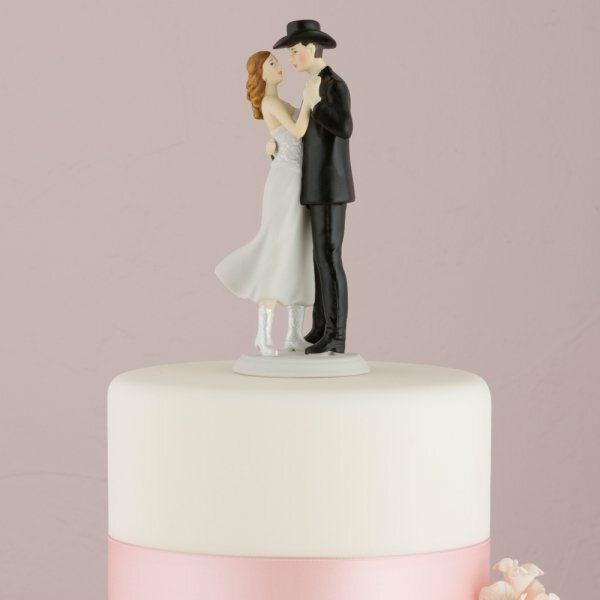 One of our most popular country western wedding cake toppers! 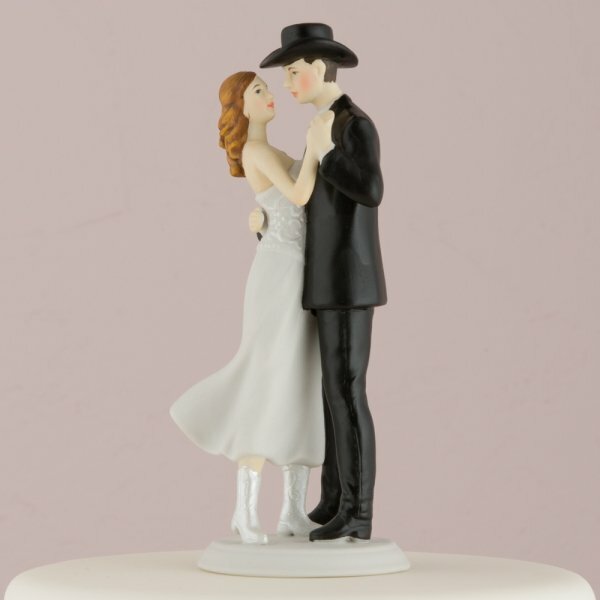 If "Country" and "Western" are your two favorite words, then this cowboy wedding cake topper is for you! 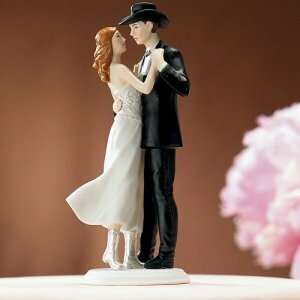 The bride and groom are locked in a happy rendition of their first two-step. Each is accented with western style cowboy boots and a cowboy hat for the groom. Modern flair with a western flavor makes for a unique topper. Hand painted porcelain. Product dimensions: 2.25" Long x 5.75" Tall. Weight: 4.8 oz. 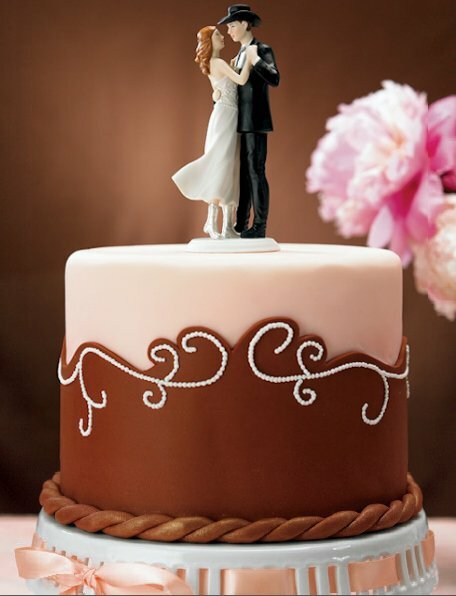 Base: 2-1/4".